Double up in Nike Air style with the Nike Air Women's Fleece Trousers. Their double waistband creates a snug feel and a layered look for a fun twist on your favourite jogging bottoms. 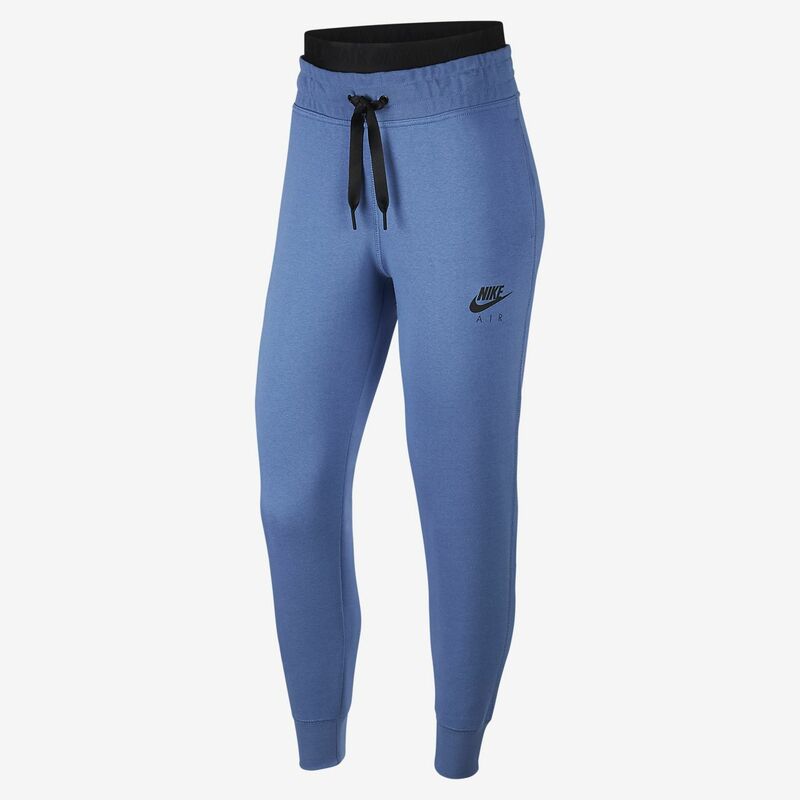 Double up in Nike Air style with the Nike Air Women&apos;s Fleece Trousers. Their double waistband creates a snug feel and a layered look for a fun twist on your favourite jogging bottoms. Fabric: Body: 58% cotton/25% rayon/17% polyester. Rib: 49% rayon/47% cotton/4% elastane.